When Rob Griffin arrived in Washington in 1977, the state’s wine industry consisted of less than ten producers. Nearly forty years later, that number approaches eight hundred wineries. Washington state is now second only to California in USA wine and grape production. 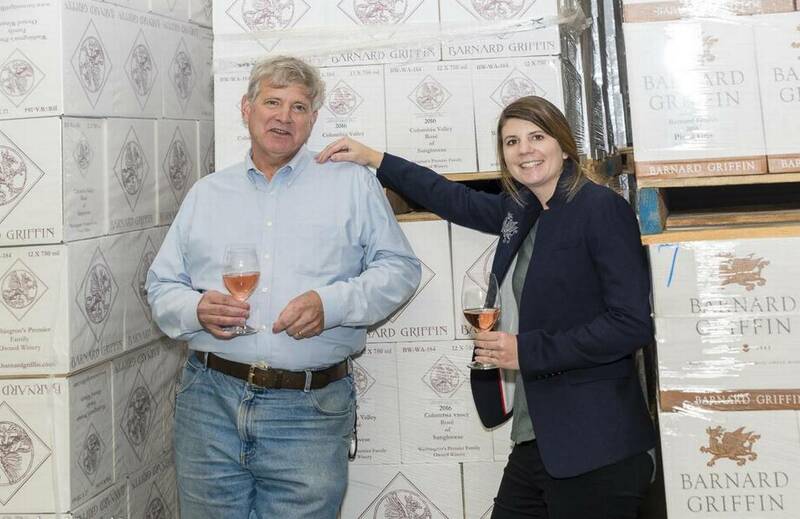 Rob has more years of production experience in country than any other Washington winemaker and, along with his wife Deborah Barnard, has guided Barnard Griffin Winery to be one of the largest and most respected family-owned producers in the state. A 1975 honors graduate of the University of California at Davis in fermentation science, Rob’s winery has won frequent awards and plaudits including numerous double gold and best of category awards, Wine Spectator Top 100 ratings, and was rated 2006 Northwest Winery of the Year. Rob has served as President of the Washington Wine Institute and as a frequent spokesperson for Washington state’s exciting young wine industry. Daughters Elise Jackson and Megan Hughes have joined the winery effort in sales and production. The second generation is in place and the family looks forward to a great future. Rob Griffin and Deborah Barnard invite you to join them on a voyage up the stunning Rhone River. This is a holiday that combines history, wine and fine dining with scenic transition, from the lush countryside of northern France to the more arid landscape of Provence. Along the way, we’ll experience together new and old world wines, fabulous French cuisine, the charming cities and towns of France’s Rhone River Valley and a once in a lifetime wine experience. Please note: This tour and cruise program is created solely for the Barnard Griffin by our tour operator, Expanding Horizons of Tustin CA in conjunction with AmaWaterways. The pre and/or post-cruise program will contain private meals, tours and/or visits to attractions. These additional services are exclusive to guests on this cruise who book their reservations with Expanding Horizons. Persons booking with alternative travel agencies will not be included in these activities.